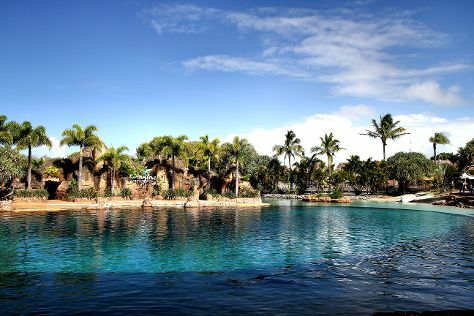 On the 14th (Mon), get up close and personal with brilliant marine life at Sea World Theme Park. To see reviews, ratings, where to stay, and other tourist information, read Gold Coast trip maker website . Dublin, Ireland to Gold Coast is an approximately 30-hour combination of flight and train. You can also fly; or do a combination of train and flight. The time zone difference moving from Greenwich Mean Time to Australian Eastern Standard Time (Queensland) is 10 hours. Plan for somewhat warmer temperatures traveling from Dublin in October, with highs in Gold Coast at 29°C and lows at 18°C. Finish your sightseeing early on the 14th (Mon) to allow enough time to take a bus to Byron Bay. 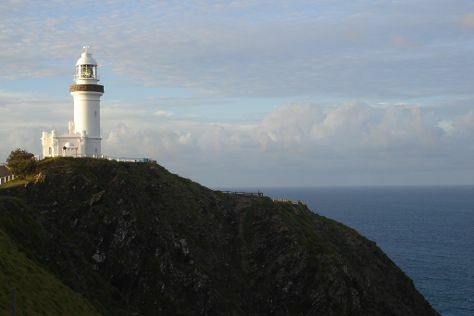 Kick off your visit on the 15th (Tue): tour the pleasant surroundings at Cape Byron Walking Track, then visit a coastal fixture at Cape Byron Lighthouse, then explore the galleries of Thomgallery, and finally glide peacefully along the water with some of the best stand-up paddleboarding in the area. To see traveler tips, ratings, maps, and more tourist information, read Byron Bay trip itinerary builder website . You can take a bus from Gold Coast to Byron Bay in an hour. Another option is to drive. Traveling from Gold Coast in October, you can expect nighttime temperatures to be slightly colder in Byron Bay, with lows of 15°C. Finish your sightseeing early on the 15th (Tue) to allow enough time to travel to Sydney. Sydney is known for nightlife, trails, beaches, parks, and museums. 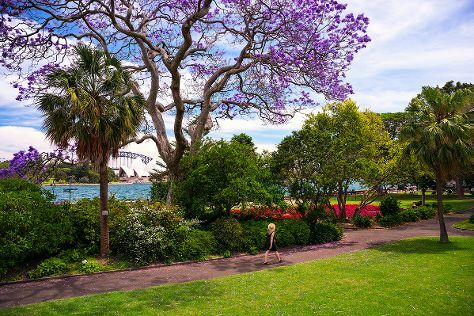 Your plan includes some of its best attractions: take in nature's colorful creations at Royal Botanic Garden Sydney, hunt for treasures at Sydney Fish Market, take a stroll through Darling Harbour, and enjoy the sand and surf at Manly Beach. To see maps, other places to visit, more things to do, and more tourist information, use the Sydney visit planner. You can do a combination of bus and flight from Byron Bay to Sydney in 4.5 hours. Other options are to drive; or do a combination of bus and train. In October, plan for daily highs up to 28°C, and evening lows to 17°C. Cap off your sightseeing on the 19th (Sat) early enough to travel back home.